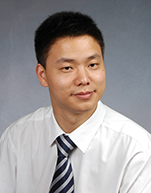 Jack XU is the Deputy Head of the shipping team for China Merchants Bank Leasing Company. Jack has 15 years of working experience in shipping and related industry. He worked with COSCO, Ince law firm and China communications bank. Jack's educational background is Marine Engineering, Maritime Law and Financial Engineering. He received his master degree from Shanghai Jiao Tong University. He is studying an EMBA program in CEBIS Switzerland campus. He has been a member of Hong Kong Association of Financial Engineer Since 2009.